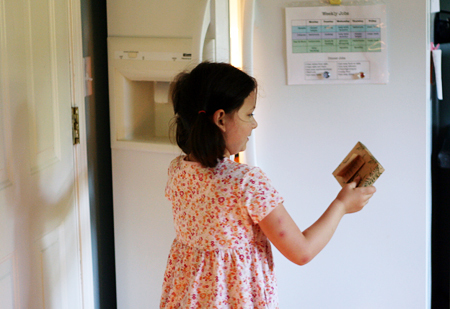 For Delaney’s recent birthday, we put together a simple birthday present treasure hunt. I knew she would adore the idea of following clues and hunting for her hidden presents (and she did!). We wrapped seven gifts, one for each year. I made a starting clue, plus clues on each present to continue the hunt. The freezer one was definitely her favorite! Delaney chose to find all her presents first, then open them. I loved how the treasure hunt made the present-opening fun last a little longer! 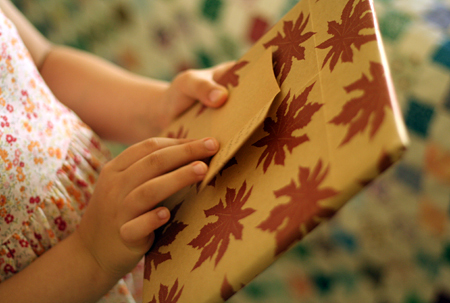 Do you have any birthday present traditions to share? 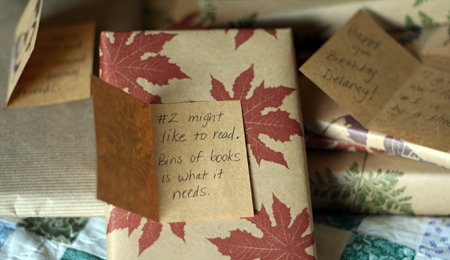 I have done a treasure hunt with one present but how fun to do a present for each year of age! Love it. I love this idea! We always do treasure hunts at Easter and Christmas, but I’ve never thought about doing on for birthdays. Such a neat idea to do a treasure hunt with a clue for every year. This year we started the birthday postcard puzzle which my little boy loved. In a nutshell, I chose a picture of a farm (he is right into farms at the moment) and made it into a puzzle. I posted the puzzle pieces out to family with a return envelope (including the stamp) as well as some instructions. The week before my son’s 3rd birthday he was super excited to see the post man and find out if any more red envelopes (pieces of his puzzle) had arrived. The beauty of this is that it is a tradition that can be enjoyed for many more years to come. We hide birthday presents also and play warmer colder. The boys really look forward to it. Now that they’re getting older, we’ll have to add the clues. So much fun! Wonderful idea! I can’t wait until my girls are old enough to start this tradition! We do a birthday tray each year. We serve our kids favorite breakfast on the tray along with a few small gifts (coloring books, small cars, etc.). We wake them up by bringing in the tray and singing Happy Birthday! This is one of the only times they get to each in their beds and they savor it.